Step into the spotlight & play along with the superb backing tracks on the specially recorded CD. 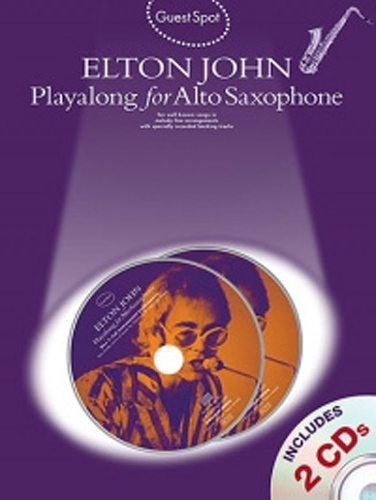 Ten of the best hits from Elton John arranged for Alto Saxophone. Titles include - Blue Eyes, Crocodile Rock, Dont Let the Sun Go Down On Me, Goodbye Yellow Brick Road, I Guess Thats Why They Call It the Blues, Im Still Standing, Rocket Man, Sacrifice, Someone Saved My Life Tonight, Tiny Dancer.